This page is comprised of five Methods that we thought are the most effective and innovative ones in empowering and involving youngsters. Promote dialogue and interaction between youngsters about a certain topic decided by them. 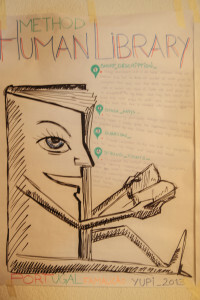 Create BOOKS. Materials: for the first session: paper, markers, posters. Materials to create and decorate the book are diverse, according to the choice of youngsters and/or criteria defined by the youth worker. In any case – old magazines and a bit of creativity can do magic! 1. brainstorm various topics of interest for the youngsters in a big group. 2. let the youngsters choose 3- 5 final topics they prefer most as a group. 3. each youngster chooses (and signs up for) a topic according to his/her interest. This way, 3-5 teams are created. Participants per team should be maximum of 7. 4. each team discusses their views on their topic in detail and decide the goal of the Book. 5. each team carries out research on their topic. They can use books, talk to others, conduct public interviews or view resources on the internet. 6. each team compiles all information from their research, then selects relevant information that they all want to use in the book. 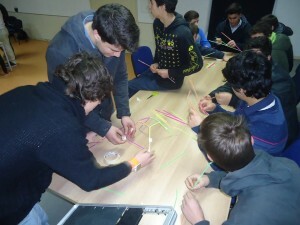 7. each team decides on the content and design of their “real” BOOK and gathers materials needed for its creation. 8. depending on the time you have, it might take a few hours but also a few days to create the BOOK. 9. all teams agree on a common public event, when their book will be presented to the public, in a space like a supermarket, library, café, pedestrian zone, etc. 10. during the public presentation, the teams show their book to the people, talk about the topic and invite present people to add information, comments, opinions into the book. 11. to let more people see the book and add comments, the BOOK can be displayed in the public spaces for a few more days or weeks. Let your fantasy go wild and motivate youngsters to come up with unusual topics, materials or approaches to create and present the BOOK. Meanwhile, be careful in choosing the final 3-5 topics inside the group, so that no one’s feelings get hurt and take into consideration how deep the youngsters know each other, whether they are comfortable and open to discuss controversial issues. Could be helpful if the group know each other from before. Use the potential of every member in the team – the work on the book needs researchers, interviewers, collectors, designers, writers, public speakers, spell checkers, etc. Everybody can find a way how to use his/her talent and contribute to the common work. Provide cameras to the youngsters and let them project the vision about their lives through photography. Promote critical thinking and dialogue. 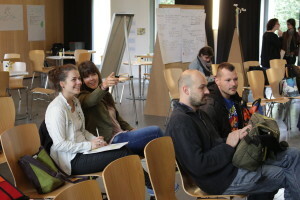 1. introduce the methodology to participants, discuss ethics, rights for the image and cameras. 2. agree on the topic to be approached and the audience whom to present the results. 3. agree on how much time the youngsters have for taking the photos and whether they will work individually or in groups. 4. youngsters take cameras, start going around and taking pictures according to the topic decided. 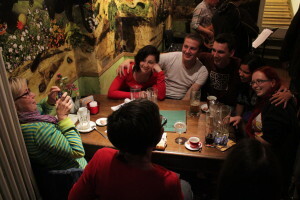 5. when the time limit is up, gather all the photos taken by individuals/groups in a separate computer. 6. give some time to the youngsters select photos that they want to present to the others. 7. individuals/groups present the photos to the others with explanations why they decided to take them (photos) and what their view of the topic is. 8. summarise the main points raised by the youngsters in terms of the topic selected. If you or your youngsters are not fans of photography, you can use drawings, video, recorded speech or any other “media” instead. But photography is a highly flexible tool that crosses cultural and linguistic barriers and is accessible to all ages, cultures and skill sets. 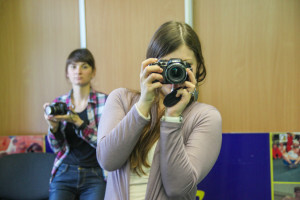 You can use the Photovoice method as part of a “bigger” project – as one of the communication channels through which the young people present their views of the world. This method combines the immediacy of the visual image and an accompanying story. This way, it can be used to enable community members to describe their priorities or show concerns, discuss problems and look for solutions. Prioritize the content of the images over the technical perfection. Do not let the photovoice be a mere photo workshop to teach the youngsters basics of photography. Treat social taboos as open and objective themes. Give young people a chance to speak out on anti-democratic or radical attitudes in order to get them out of the taboo area and open up the possibility to rethink through it with a careful and value-neutral accompaniment. Materials: flipchart and pins, letter blocks for retaining thoughts, possibly a beamer and canvas. 1. Select the topic for the discussion round. 2. Search for an external discussion leader or leaders and invite them to the discussion round. 3. Inform the youngsters about the discussion round and the external discussion leader. 4. On the day of the discussion, make a briefing to the youngsters about what is going to happen and how much time they have. 5. Clarify or negotiate common rules for the discussion (i.e. turn mobile phones on silent mode; let others finish speaking; use a common language or translations, no insults allowed; etc.). 6. Explain the principles of (philosophical) discussion. touch topics the youngsters would not feel free to talk about with the youth worker. 8. At the end of the discussion, give space for a short feedback session. The principle of discussion is that there is no person who is right or wrong, the discussion itself is the goal. We think that the room arrangement matters. You can choose a cosy and relaxing place, without disturbances. Drinks and little snacks are also a good addition to the setting. You can invite variety of participants – e.g. youngsters that pronounce anti-democratic statements as well as young people who are personally affected by discrimination and racism. So try build trust and stimulate interest, but also invite the external discussion leaders to visit the youth centre/club, etc. one day before the discussion to get to know the youngsters and play table football or do something informal with them. 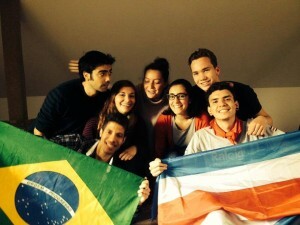 On this occasion, they can personally invite the young people to participate in the discussion the next day. You can use short films, photos, or music that identify situations which raise questions or different opinions among the participants as an introduction of the topic. Alternatively, you can also use radical, anti-Semitic or racist statements of some youngsters with whom you work with, which could also be a starting point for a discussion. Rule out the fear of being sanctioned for your opinion. Make the youngsters feel safe, that whatever they say during the discussion round – even statements that normally are not tolerated in the youth centre – there will be no consequences. Create a setting where the youngsters may raise questions and where protest is allowed. Let the participants decide whether the youth workers may join the discussion in the beginning or just in the end, when the most important issues are recapitulated by the youngsters. Make it clear to the youngsters that they can leave the discussion whenever they need. Some of them might need personal time and space for self-reflection or time to process the intense experience. It could be a good idea to have an additional youth worker around in such cases. Treat social taboos as open and objective themes. Let the young people express those taboos without having to fear censorship or sanctions. Let the external discussion leaders develop this event. Take care of the setting, the atmosphere, general flow of the event, but stay in the background during the discussion. Get new inputs for further monitoring of the group. Make sure there is space for a “cool- out” time after the activity when the group can just sit and drink or eat something together. This gives them space to exchange experience informally. Alternative 2: There is an inner (active) and outer (passive) circle of participants. Those, who have agreed to participate actively in the discussion and want to talk, sit in the inner circle. The outer circle is the audience. The audience just listens and is not allowed to participate in the discussion. The youngsters can switch the circle in which they sit any time they wish to. Provide resources and guidance. Motivate the youngsters to get active, and thus empower them to turn their ideas into real activities. Materials (resources): funds that are available to the youngsters. For example, in Germany, up to 400 Euros spent per project. One person that supports the team to implement the project and document it. Materials that come handy: Checklists, budget sheets, project documentation. These will be used by the youngsters to document and report the progress of their project and expenditure. 1. Prepare comprehensible and appealing information about the program and its conditions together with inspiring examples about microprojects of other youngsters. 2. Organise an information event about microprojects, ideally invite some youngsters that have previously done microprojects. 3. Those youngsters that get interested to do a microproject must form a motivated group of minimum three members. Each team agrees on a common (premature) project idea. 4. Each team identifies a microproject contact person that will provide guidance to this team, if needed. If you want to reach youngsters with severe social or psycho- logical constraints (e.g. migrant backg- round, weak family background) a mentor is recommended, i.e. an external person of certain authority and credibility to the youngsters. 5. Each team meets their microproject contact person with whom they consult their project idea to elaborate it further, involve important issues right from the start (e.g. evaluation) and get a common comprehension of the plan. 6. Based on the consultation, the team completes a simple application form of about two pages long for a microproject funding and submits it to program coordinators. 7. If needed, the microproject program coordinator facilitates the process further. When the project application meets the criteria of microproject funding, the application is approved and a contract for microproject funding is signed. 8. Each team starts implementation of their microproject. If they wish to, they can ask for counselling. Otherwise, the microproject contact person only shows normal interest in the status quo of the project, but does not interfere in the way the project is done. That is fundamental for the learning effect. 9. After the project finishes, the contact person and the youngsters reflect on the experience in terms of learning and outcomes. 10. The team completes their project documentation, fills in the budget sheets and ends the contract. The contact person should be there to support and advise them. 11. If possible, later on they present their project and its outcomes in public to other youngsters to inspire them or encourage new microproject teams, and for adults, to change their perception and approach towards youngsters. In fact the optimal microproject staff is a team of experienced peers, and they are the microproject program coordinators and as such the contact persons. If there are no such peers, at least that person(s) must find an easy, interesting and reliable relation. A staff member from the organisation that acts as a contact person for microprojects. An appealing and trustful person (or several) as the program contact person. The best choice for such a role would be a team of peers or persons that the youngsters can identify with. A mentor, i.e. a person with important capabilities and authority to the youngsters. Get the target group of young people to come up with their first ideas for microprojects directly at the information event, no matter how premature those might be. Best would be: a) if the youngsters speak out their ideas in front of their peers, b) if they form a group interested in a common idea or issue, c) and if they start to work on it at once.Regardless of your measures, the youngsters must get a positive attitude towards doing a microproject and believe success would be within their prompt reach and that there is nothing wrong if it fails. Let the youngsters view their own identity through the mirror of an encounter with another culture, its people and identity. Let them see how leaving home develops their self-esteem and independence. Materials: depends on the type of the presentation that is held. For the pre-workshop and debriefing: flipchart, pens and small slips of papers are needed. Resource person: To implement this method, it is important that the youth that you work with (or at least some of them) have had an opportunity to travel abroad as volunteers, exchange visit students, or participants of various international events. Alternatively, invite a foreign person who is visiting your country or staying there for some time as a volunteer, exchange visit student, worker, etc. 1. Speak to the resource person, invite him/her to the meeting with the group and discuss possible sub-topics of his/her presentation of the international encounter. Emphasise on cultural differences and self-development aspects of their international experience. 2. One or two days before the international encounter, run a short pre-workshop where you can ask the young people to imagine the country that the resource person has visited/comes from and their experience. Gather expectations and possible questions that your group has before the international encounter. 3. Use the notes from the pre-workshop for the preparation of the resource person, to see what the expectations of young people are, as well as for further reference during the debriefing of the international encounter. 4. On the day of the international encounter, introduce the resource person and his/her presentation. Stay in the background, take notes of comments/topics that can be used for further discussions with your group. 5. After the presentation, make participants reflect on their own identity and together with the resource person, look for similarities between the different cultures presented and raise awareness about aspects of their own culture that can be mirrored in comparison with another culture. 6. Concentrate on the international experience itself and ask the resource person about what he/she has learnt from going abroad, how they have developed personally, what moments were difficult and how they have managed. During the pre-workshop, when you gather ideas of the young people about the country, or experience of the resource person, let the young people speak their mind, do not judge, comment, or otherwise intervene if any stereotypes or prejudicial thoughts come up during the pre-workshop, note them down and discuss with the resource person how they can be dealt with during the workshop. Create a cosy and comfortable atmosphere for the presentation. Together with the group (or the resource person), think of decorating the room, bring snacks or drinks that are typical of the country, photos, music, real objects, etc. All of the little things that create an international atmosphere. Invite people outside of the youth centre/youth group that you work with. Family, relatives, friends can be interested to hear about the international experience of the resource person, too. Take the presentation of the resource person as an opportunity to motivate your group to take part in international voluntary projects, exchange visits, etc. Let your organisation develop these ideas, have leaflets or concrete information about these opportunities, in order to share later with youngsters. Stimulate the resource person to make the presentation interactive and informal. They can teach a song, cook together with the group, create something with the group, bring unusual objects, etc. – the country that the resource person has visited (comes from) – have they ever been there? What do they think the country is like? What is similar/different from their home country? – the experience that the resource person has had abroad – what do they think their motivation to go was? What did the resource person miss from the home country? What have they learnt? Later on, ask for questions or doubts that come to their minds, etc. and write them, or ask the groups to write them and present them to the others.